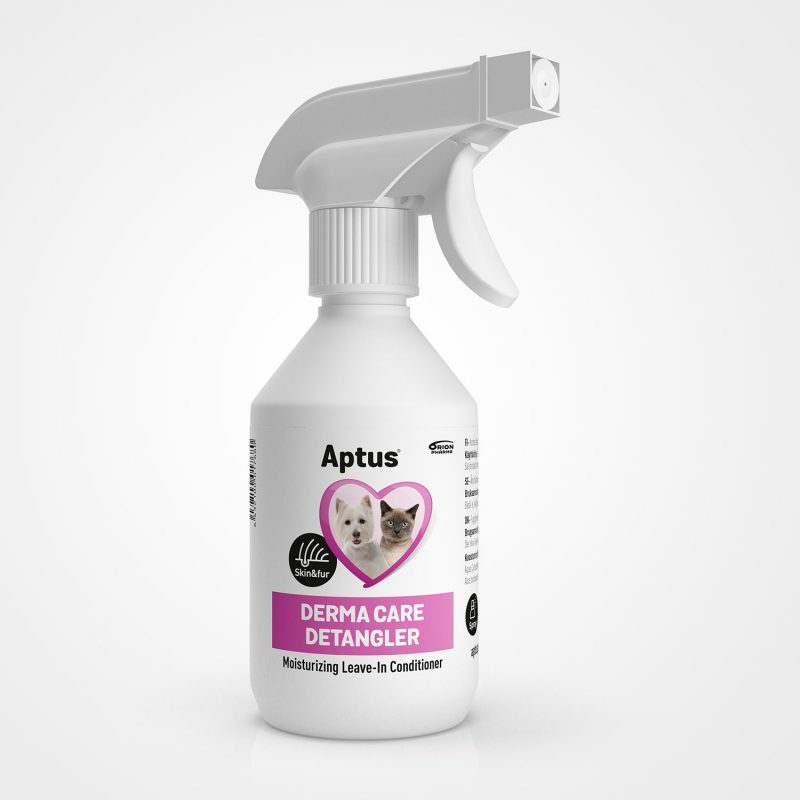 Easy to use leave-in spray conditioner developed for dogs and cats. Moisturizing and smoothing anti-static solution for all kinds of fur. 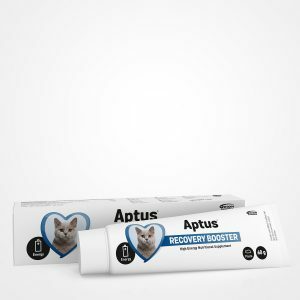 Minimizes the stress of brushing by reducing matted areas. Recommended after and in between baths. Do not rinse off. Leave-in conditioner for dogs and cats. Shake the bottle before use. Spray on a towel dry coat after washing with shampoo, and brush. Can also be used on dry coat in between baths. Regular brushing will help keeping the coat manageable. Do not rinse. 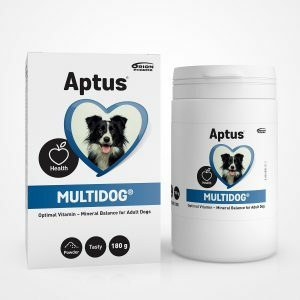 For dense, long-haired, and curly fur Aptus Moisturising Detangler can be used both before and after washing with shampoo to untangle the most unruly knots. Aqua, Cyclopentasiloxane, PEG-40 hydrogenated castor oil, Caprylic/capric triglyceride, Aleo barbadensis leaf juice, Potassium sorbate, Phenoxyethanol, Panthenol, Perfume, Ethylhexyglycerin. 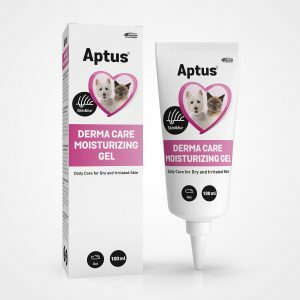 Aptus Derma Care Moisturizing Detangler is lightly perfumed and filled with moisturising and conditioning agents suitable for both skin and fur, such as aloe, panthenol, and glycerine. Can be used daily or as often as needed.